A freethought group in the Cincinnati area raised $10,000 to pay for a billboard to counter the taxpayer funded Ark Encounter amusement park, sprung from the mind of serial creationist Ken Ham and features a life size version of Noah’s Ark. Of course not all atheists are happy with the protest. I was shocked that blogger Amy Roth would try to protect Ken Ham’s feelings and use an argument she has rejected when directed against her. 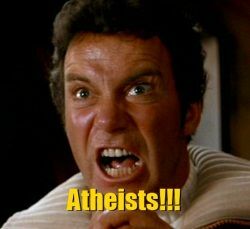 This entry was posted in Religion and tagged Amy Roth, Ark Encounter, atheism, billboard, Cincinnati, creationism, Ken Ham, Tri-State Freethinkers on May 12, 2016 by Doug. 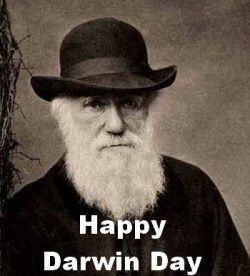 February 12th is Charles Darwin’s birthday. He wrote the seminal book about Evolution titled ‘On the Origin of Species’. He introduced the scientific theory that populations evolve over the course of generations through a process of natural selection. Of course, even in 2014, there are some people who either refuse to accept Evolution or seem to have no idea what it is. This entry was posted in History, Humanism, Politics, Progressive, Religion and tagged Charles Darwin, creationism, Evolution, intelligent design, science education on February 12, 2014 by Doug.